CCFF’s HOUSE OF MORE is a video art exhibition including immersive experiences and live electronic and experimental performances featuring emerging artists. Free and open to all 7:00 PM – 12:00 AM. Opening Night soundtracked by BLVCK ICE beginning at 8:00 PM. BLVCK ICE is a monthly dance party/music event bringing together dancers and creatives, centered around the innovative dance music & sound art of black LGBTQ artists and more. In addition to the hybrid sounds you’ll hear at a BLVCK ICE party—club music from Brazil, Lisbon, South Africa and New Jersey, remixed R&B and trap, futurist bass rhythm tracks, dancehall & reggaeton, techno, New Orleans Bounce—the creative direction and guest artist curation help define BLVCK ICE as a intentional space melding forward-looking art and community, now in its fifth year. BLVCK ICE exists at the intersection of the collective’s for so many kinds of music, creative responses to marginalization, political climate, celebration as self-care, and articulating self-determined desires as a liberatory practice. 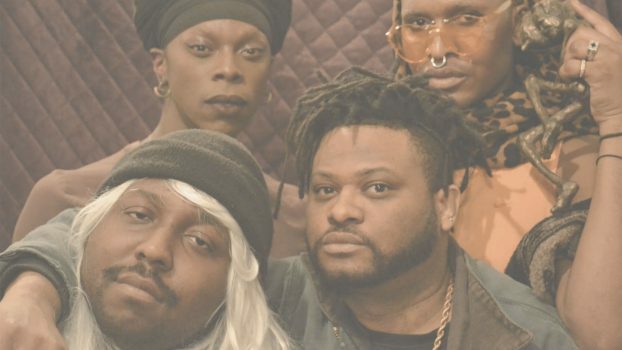 Incorporating disparate factions of Columbus’ LGBTQ communities, incorporating performance artists and choreographed dance performance, help BLVCK ICE create the transcendent club experiences of their dreams. BLVCK ICE PROMO from Crystal Gause on Vimeo.